Collection of various drawings. Graphite, colored pencil, ink. July 10, 2017 - Drawing when hanging out with Ross H.
November 23, 2017 - Colored pencil sketch of LeFou + dance partner from the live action Beauty & the Beast. 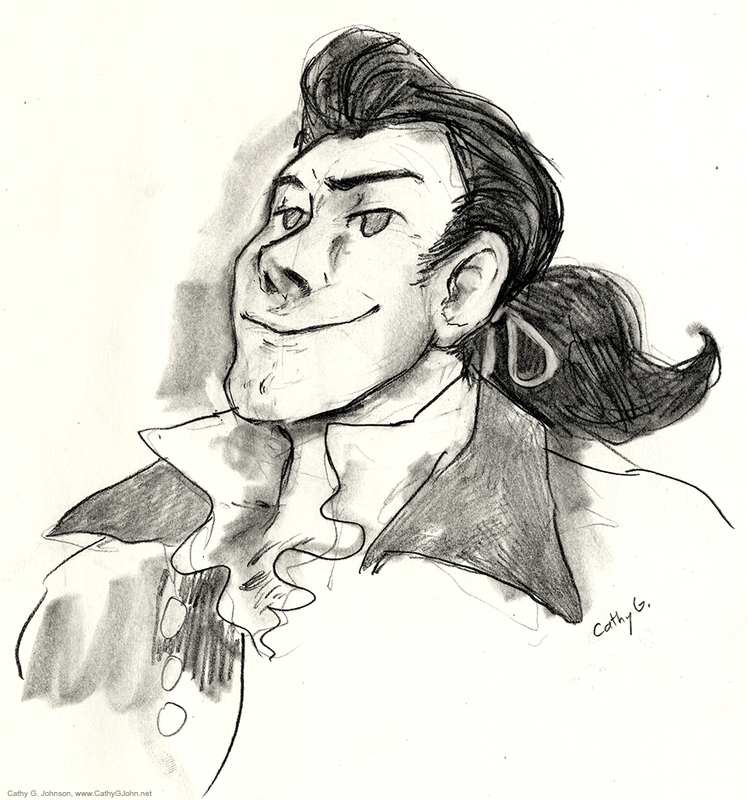 January 10, 2018 - Gaston riding Magnifique from Beauty & the Beast.